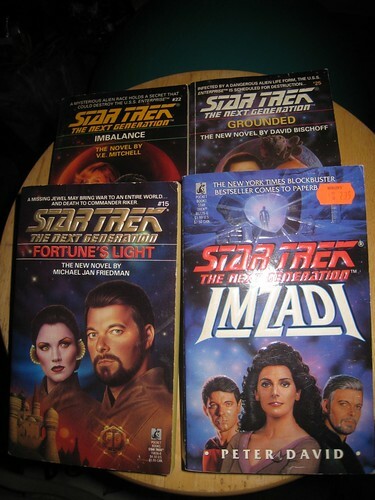 Four ST:TNG novels, including The One Important One, Imzadi. Isn’t that the one that everyone loves? If you want them, speak up! Update: No one spoke up for these books! I’ll hold onto them until the end of the month. If someone wants to claim them, first come first served. If no one does, off to the library they go.